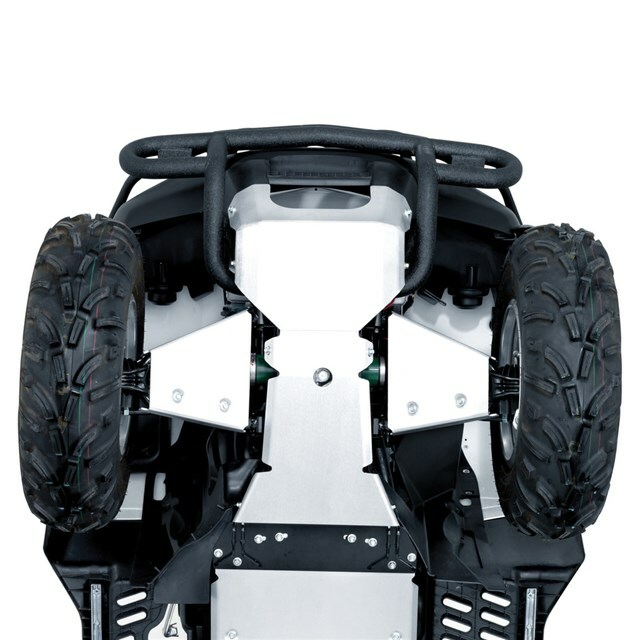 Help protect the frame, engine and other components from scratches and damage caused by debris that dares get in the way of your KingQuad. Custom built from 6061 T6 aircraft quality aluminum plate to bolt in place of stock skid plates. *Fits both Power Steering and Non Power Steering Models.